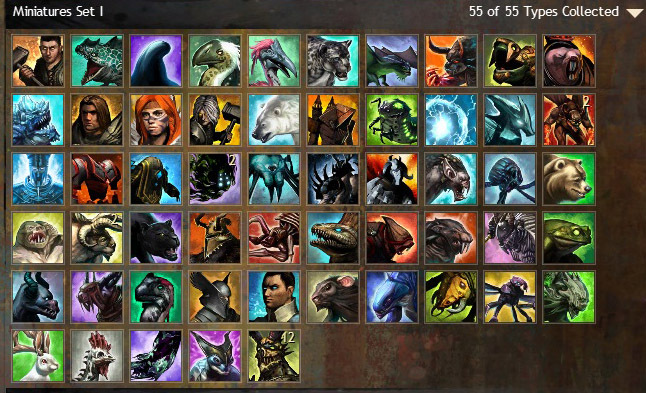 This entry was posted in Guild Wars 2 and tagged achievements, achievers, at least the achievement is optional, collecting, collection, feature patch, GW2, miniatures, minis, trading. I was going to do a post on the upcoming changes – I’m not going to bother now! I agree with you that most of these changes look good on paper. We’ll have to try them out to see how they work in practice but I’m optimistic that the game will be more entertaining as a result. I think you cut ANet far too much slack, though. The point of the post I made the other day, when I used LotRO as a comparison, is that just about every major MMO I have played has made these kind of changes *as a matter of course*. These are the bedrock, month-by-month, iterative quality of life improvements that I expect to see from every MMO I play and almost always *do* see. Other MMOs provide all these QOL tweaks, AND storyline events that match the kind of things we have been getting in The Living Story, as a matter of course. In my opinion that is the baseline for an active, successful MMORPG. GW2 blows its own trumpet deafeningly to draw attention to things that would simply be routine patch notes in any other quality MMO. The big difference, though, is that other MMOs also produce major content drops that include new races, classes, zones, dungeons and so on in addition to these routine improvements. Moreover, the best of them periodically add new races, classes, zones, dungeons to the base game as they go along *in addition* to adding them in paid expansions. GW2 is a great game but it is not, by any standards I would set, an ambitious one, or not, at least, in its “live” context. Presumably, to meet whatever fiscal targets have been set for it, it doesn’t need to be. It’s a pity. Just because something is fun doesn’t mean it couldn’t be a lot funner. 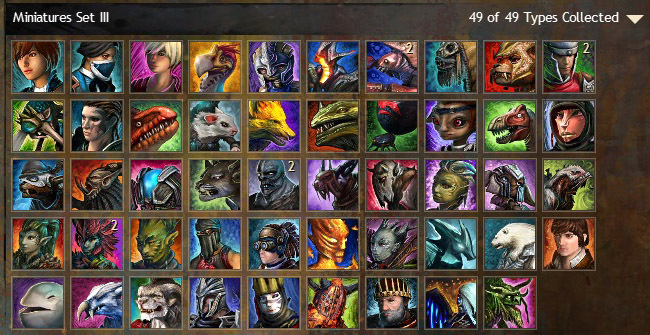 Regarding cultural armor…the skins will be listed as locked or unlocked when you attempt to purchase them from the vendor (I logged into the game and ran to a vendor to confirm this is correct). Not sure you wanted your collecting to be enabled or not, but there you go you. I might start poking around at the cheaper tier 1 and 2 sets first, low hanging fruit and all that. I wonder what’s gonna happen if one has multiple of the same mini? I, and I suspect many others, have several Queen Jennahs. Boggles my mind that we still can’t filter by armour weight. Achievement unlock: The Queen is a Lie! Collect 64 Jennahs to discover the identity of the true heir of Kryta! I saw that mini collection. I almost died inside! 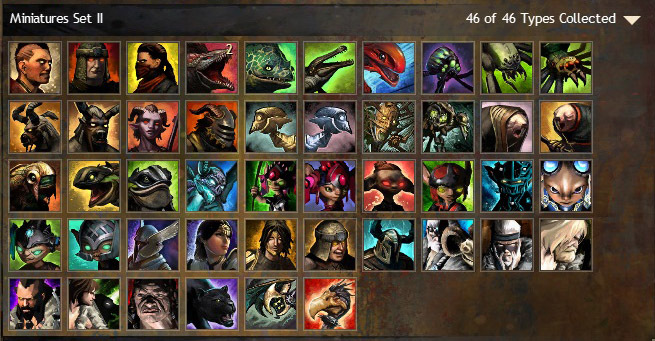 I collected minis in GW1 but deemed it too expensive in GW2 to pursue (but hey…Legendary!) I WANTS. Especially with the mini improvements. I honestly don’t play this game much anymore aside from the weekend, but I’m pretty pumped.